In order to pay tribute to the Martell House passion for vine, I decided to create a cognac of great distinction to share with the world: a cognac that would encapsulate the essence of the vine, retaining the richness of aromas and the unique character of wines. Inspired by the vines, Martell Distinction is a revealing indicator of taste, personality and character. With its unique aromatic intricacy, Martell Distinction matches any aromas and tastes for an infinite pairing possibility. Amber gold with copper hues. Candied fruits: plum jam and lemon peel. Rich spice aromas: saffron, ginger and chestnut honey. The frank and generous attack quickly gives way to a sensation of roundness and sensuality, balanced by a hint of citrus which is revealed in a long, spicy finish. 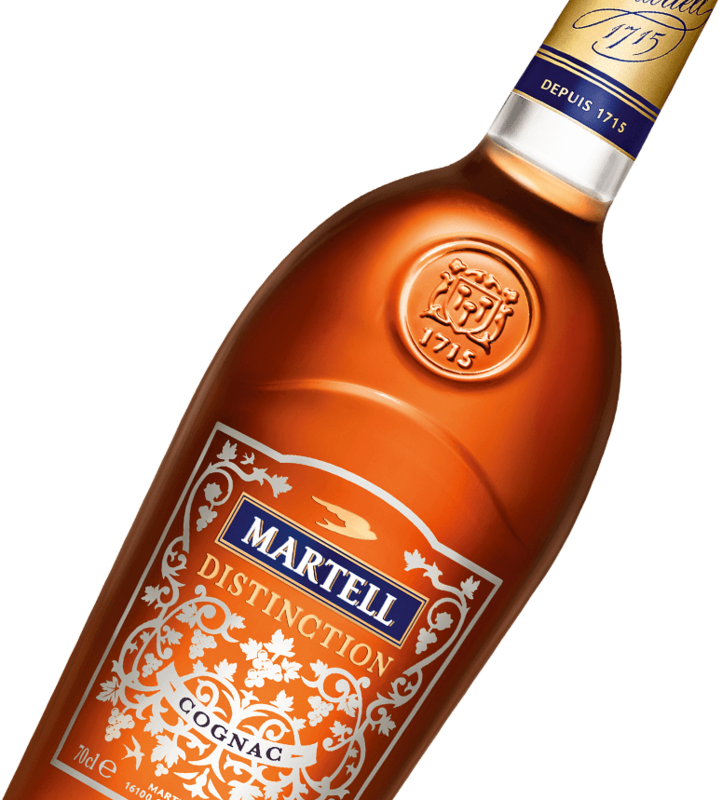 Martell Distinction can be drunk on its own, but it can also be enjoyed with ice or a little spring water.